Crafted with time-honored European techniques, we inspire delicious traditions that keep your customers coming back. 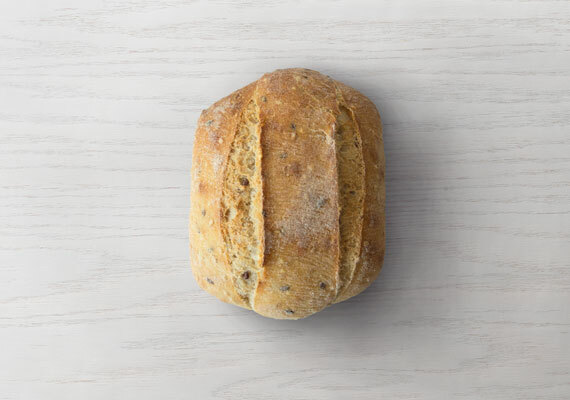 Baked in small batches, our artisan breads use only natural starters and superior ingredients. No artificial colors or additives, just goodness in every bite. We’ve worked closely with the best European manufacturers to customize our equipment to work like extensions of a baker’s hands. 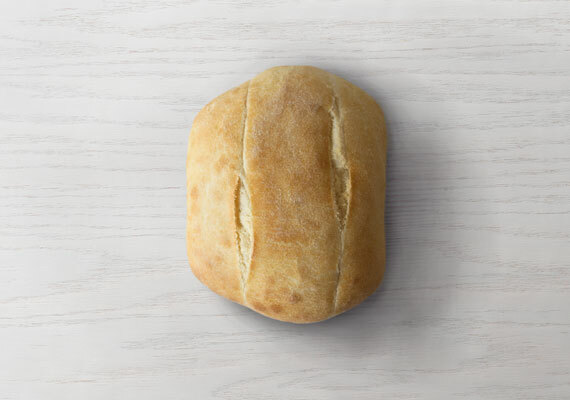 The results are so impressive, you’ll think our breads are handmade. Better yet, so will your customers. Inspired by traditional French methods, we use a poolish starter paired with a long fermentation time. 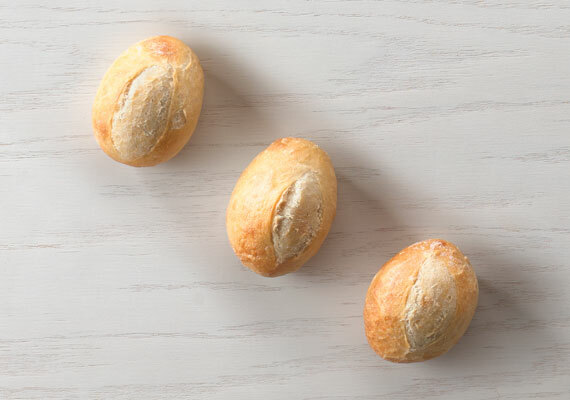 These little details create baguettes so delicious your customers will think you made them from scratch. Available in Take & Bake and Bulk. 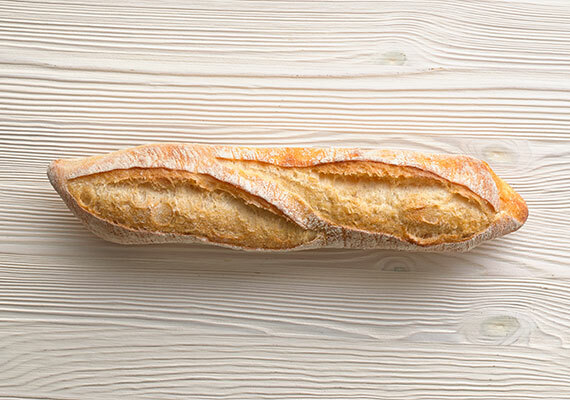 Our signature French baguette has a chewy inside crumb and thin golden crust. A tasty tradition your customers will love. 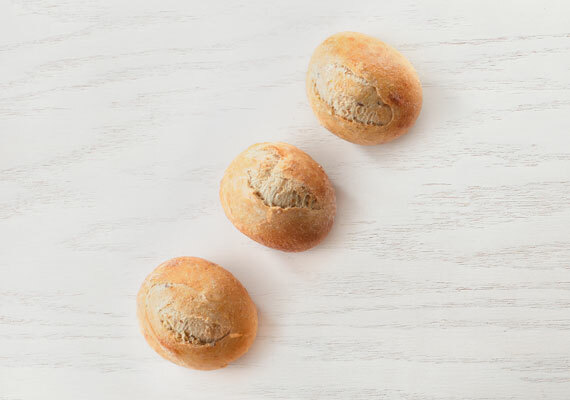 This smaller version of our French baguette is perfect for two. Save your customers an extra trip with our twin pack demi French baguette. Bake one now and freeze one for later. Your customers will love the wholesome nutty flavor and sweet touch of honey of this hearty six-grain bread. 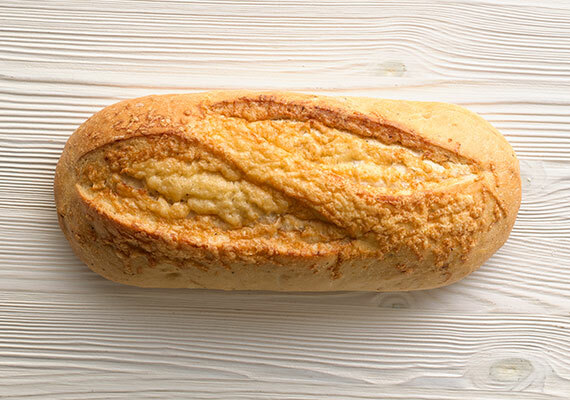 Our light sourdough baguette is made with both coarsely chopped and whole cloves of roasted garlic. A delicious twist on a traditional favorite. This delicious baguette has a mild flavor profile and hint of sour derived from our long fermentation process. Influenced by French and Italian culinary techniques, we craft our various loaves using an assortment of unique starters and long fermentation times. 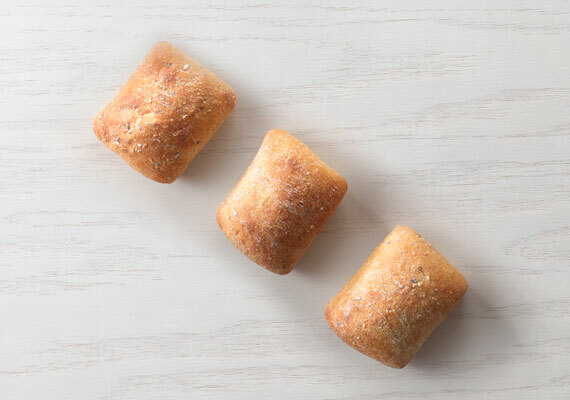 The result is hand-crafted flavors that create an artisan bread like no other. Available in Take & Bake and Bulk. 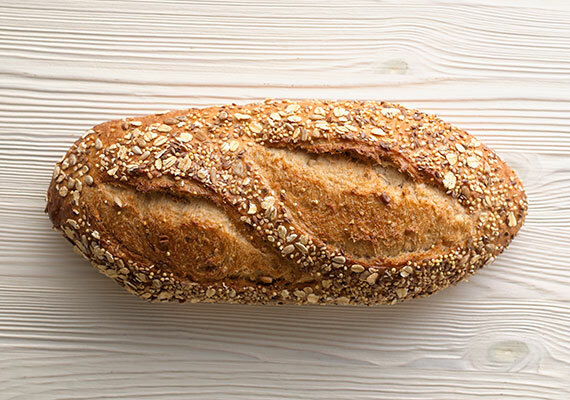 Made with wholesome ingredients, our hearty six-grain bread has rolled oats, flax, millet, sunflower and sesame. This free-form Italian crusty bread is stretched and elongated to produce large air pockets, giving it an uneven and chewy interior. This smaller version of our signature Ciabatta is the perfect bread for two and has the same uneven and chewy interior. Our light sourdough loaf has both coarsely chopped and whole cloves of roasted garlic. A delicious twist on a traditional favorite. We make our sourdough loaf with roasted garlic, give it a thick, crispy crust and top it off with the nutty flavor of aged Asiago cheese. This rustic-looking loaf is made with a delicious blend of flours, giving it a light wheat flavor and slight sourdough taste. Made with sprouted wheat flour and a hint of honey, this whole-grain bread is nutritious and delicious. This wholesome whole-grain bread utilizes a light sourdough levain and ancient grain soaker of amaranth, millet, Khorasan wheat, quinoa, spelt, teff and wheat kernels. We infuse decadent white chocolate and apricot pieces into this sweet bread along with a hint of vanilla and cinnamon. Fragrant rosemary adds to the rich flavor of this savory focaccia. Large air pockets give it a wildly uneven and chewy moist interior. A light and airy bread with a chewy moist interior, accented with olive oil and sea salt. With its chewy crumb and golden crispy crust, customers love this classic, versatile bread. The mildly sour flavor profile of this boule is derived from a long fermentation process, and it appeals to a wide variety of customers. The delicate flavor of its open grain structure makes this bread perfect for any application. 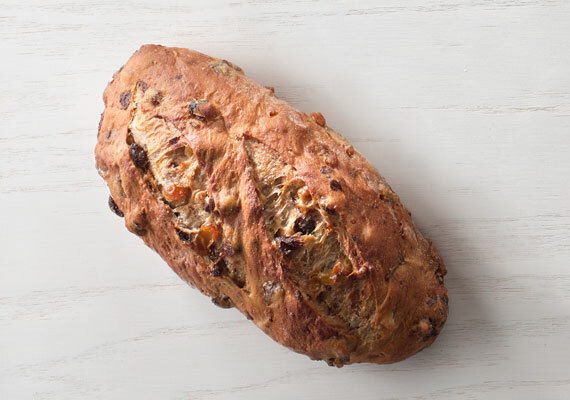 Loaded with sweet raisins, crunchy walnuts and a hint of orange zest, customers can serve it with breakfast, lunch and dinner. Applying the same tradition and techniques that we use to create our baguettes and loaves, our artisan rolls will complement any meal. Available in Take & Bake and Bulk. 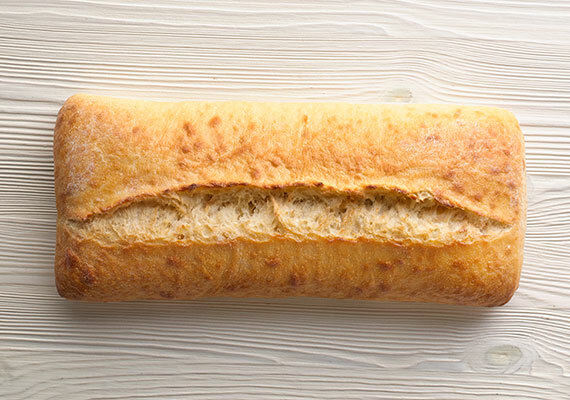 Classic, versatile and simple, we bring you our classic French baguette in a dinner roll size. Six grains give this wholesome roll the subtle nutty taste of ground oats, barley and rye – encased in a delicate crust. This versatile sandwich roll delivers a slightly sweet flavor with a soft, fine interior crumb. A multigrain mix blended with sprouted wheat flour creates a subtle nutty flavor with a hint of sweetness. Customers love our renowned rolls. This free-form Italian crusty bread has a crispy crust and chewy, tender crumb. 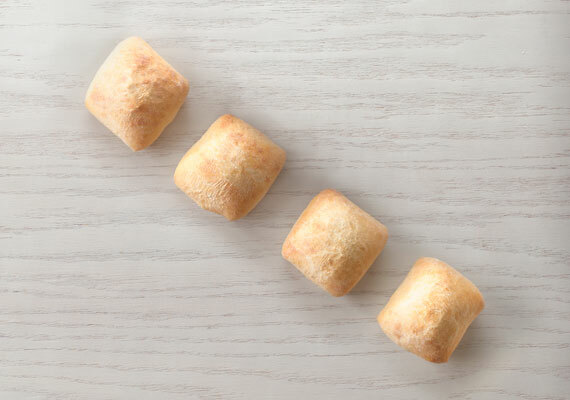 Our artisan rolls have a delicious whole-grain flavor, rich texture and chewy center. The perfect balance of solid and hearty, yet light and sweet. Versatile and simple, our classic, slightly chewy breadstick offers a mild, delicate flavor. The addition of fragrant rosemary makes this a savory version of our classic breadstick.